In many Atlanta and Savannah car accidents, the driver of the car is responsible for any deaths or injuries he/she causes. In other cases, though, the cause of the crash can be traced to a defective car part. If the brakes were made improperly, the steering mechanism was improperly designed, or warnings were unclear, then those who made or sold the product can be held accountable. Victims in car defect cases are entitled to recovery on a theory of strict liability. This means the makers of the products and others in the supply chain are liable, even if they were not negligent. $47.7 million verdict against Ford Motor Company after defective seat back latch caused the seat to collapse on a child, rendering her paralyzed from the chest down. $40 million verdict against Ford Motor Company after a defective gear shifter caused our client to be run over, rendering her a paraplegic. $16.52 million verdict against Michelin after a defective tire led to the death of our client’s husband. $10.6 million verdict against Ford Motor Company when a defective throttle led to a rollover crash. Both original equipment manufacturers (OEMs) and businesses that design and build after-market auto parts earn a lot of money from the sale of those parts. These companies are in the best position to make certain their designs and products are safe, which is why they are held to a strict liability standard instead of a negligence standard. Auto manufacturers can also be sued when defective parts fail, on the basis that express or implied warranties were breached or that the company was indeed negligent. 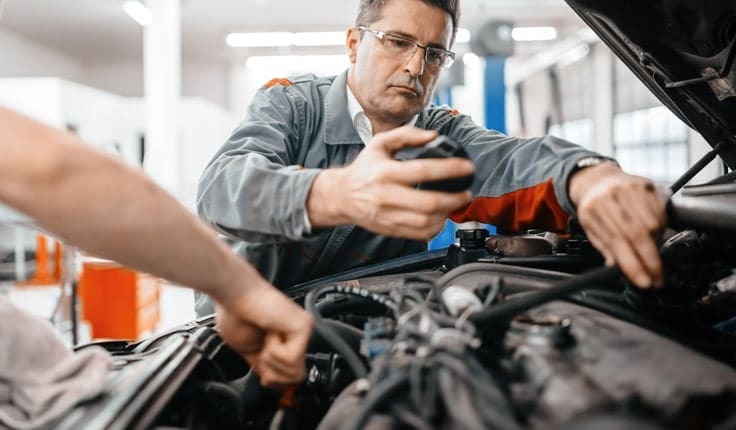 A car part is defective if the design is faulty, the part is made improperly, or there were no warnings or improper warnings about the risks involved with using the product. Cars can also be considered defective if they are not crashworthy. OEM and after-market manufacturers have an additional duty to recall unsafe products if they fail to meet minimal safety standards. The National Highway Traffic Safety Administration (NHTSA) has the authority to issue car safety standards. If NHTSA issues a recall, the part makers and car manufacturers must inform the owners of the car that use that part. What kinds of injuries are caused by defective auto parts? Many of the victims sustained life-altering injuries, and now live in constant pain. In the most tragic circumstances, defective car and truck parts have led to the wrongful death of drivers, passengers and their children. When these types of injuries occur, a lawsuit against the manufacturer may be the only way to hold a company accountable for your loss, and to put an end to dangerous practices. Drivers rely on their cars to work when they start, during the drive, if they shift gears or lanes, or even if a car accident happens. If a car part failure kills a loved one or causes you or a loved one to suffer, the strong Atlanta car part defect lawyers at Harris Lowry Manton have the effective control to guide you through each stage of your case. We are the firm that other law firms and Georgia residents trust to firmly handle your case from the first free consultation to the jury trial or negotiated settlement. To get your case started, please phone us at 404-998-8847 in Atlanta or 912-417-3774 in Savannah, or use our easy, accessible contact form.